F Michal Hlinka (Moose Jaw, Prince Albert, 2010-12) has signed a one-year extension with Slovan Bratislava (Slovakia, KHL). This season, he had seven goals and four assists in 43 games. Hlinka also spent time with Dukla Trenčín (Slovakia, Extraliga) this season, scoring three goals and adding an assist in 13 games. The host Windsor Spitfires claimed the first berth in the Memorial Cup final with a 4-2 victory over the OHL-champion Erie Otters on Wednesday night. The Otters (2-1) will play in Friday’s semifinal, where they will meet the QMJHL-champion Saint John Sea Dogs (1-2). The winner of that game will meet the Spitfires (3-0) in Sunday’s final. . . . The WHL-champion Seattle Thunderbirds went 0-3 and were eliminated on Tuesday when they lost 7-0 to Saint John. . . .
Last night, F Jeremiah Addison, who finished with three goals, got Windsor started with a pair of first-period goals, at 5:50 and 15:28. F Gabriel Vilardi earned the primary assist on both goals en route to a four-assist game. . . . F Mikhail Sergachev upped it to 3-0 with his first goal, on a PP, just 43 seconds into the second period. . . . F Kyle Maksimovich got Erie on the scoreboard when he scored off a rebound at 8:10 of the third period. . . . Addison completed his hat trick at 13:31. . . . F Taylor Raddysh’s third goal of the tournament got Erie to within two goals at 17:34, on a PP. . . . The Spitfires got a big game from G Michael DiPietro, with 33 saves. At the other end, Troy Timpano turned aside 15 shots. . . . Erie was 1-3 on the PP; Windsor was 1-4. . . . Erie F Alex DeBrincat, who scored 65 goals in the regular season, was helped from the ice late in the second period after taking a hit from Addison. However, DeBrincat was back for the third period. . . . Announced attendance: 6,136. 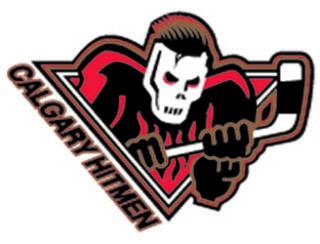 The Calgary Hitmen moved Mike Moore from general manager and vice-president of business operations to vice-president and alternate governor last week. The announcement was made by Ken King, the president and CEO of Calgary Sports and Entertainment Corporation. . . . 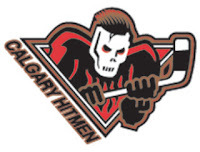 Taking Note was told Wednesday night that the Hitmen also jettisoned Dan Bonar and Roy Stasiuk, although those moves weren’t included in the announcement. . . . Bonar, 60, had been with the Hitmen since 2003, starting as a scout. He was named head scout on July 11, 2011, and took over as director of player personnel prior to the 2013-14 season. Bonar, from Deloraine, Man., played three seasons (1974-77) with the Brandon Wheat Kings before going on to a pro career that included 169 NHL games with the Los Angeles Kings. . . . Stasiuk, from Edmonton, was named Calgary’s Prairie scouting director on July 31, 2015. Before joining Calgary, he spent six seasons scouting for the NHL’s Toronto Maple Leafs. Prior to that, Stasiuk, 54, spent 20 seasons in the WHL, working with the Prince Albert Raiders, Red Deer Rebels, Edmonton Oil Kings, Kootenay Ice and Lethbridge Hurricanes. F Ethan Bowen, whose WHL rights belong to the Kelowna Rockets, has committed to North Dakota, for 2020-21, while saying he will play for the BCHL’s Chilliwack Chiefs in 2018-19. Bowen, who turned 15 on May 14, is from Chilliwack. He played this season at the Yale Hockey Academy in Abbotsford, B.C., putting up 33 goals and 29 assists in 29 games with the bantam prep team. . . . Had there not been doubts about which route he would take, Bowen would have been an early first-round selection in the WHL’s 2017 bantam draft. The Rockets took him with their first pick, which happened to be in the second round. The NHL’s Arizona Coyotes have signed Craig Cunningham, 26, to a two-year contract as a pro scout. He also will work in player development. Cunningham, from Trail, B.C., played in the WHL with the Vancouver Giants and Portland Winterhawks (2006-11). He was the captain of the Tucson Roadrunners, the Coyotes’ AHL affiliate, when his playing career ended this season when he suffered a cardiac emergency prior to a game on Nov. 19. Doctors later had to amputate part of his left leg. Darryl Sydor is back in the NHL. The St. Louis Blues announced Wednesday that Sydor has been signed to a three-year contract as an assistant coach. Sydor, 45, will work alongside Blues head coach Mike Yeo. . . . Sydor, a co-owner of the WHL’s Kamloops Blazers, was an assistant coach with the Minnesota Wild for five seasons during Yeo’s time there as head coach. . . . This season, Sydor was an assistant coach with the AHL’s Chicago Wolves. . . . Sydor, from Edmonton, played four seasons (1988-92) in Kamloops. Arnie Caplan is the new general manager and head coach of the MJHL’s Waywayseecappo Wolverines. Caplan, 49, most recently was the head coach of the Portage College Voyageurs of the Alberta Colleges Athletic Conference. As a goaltender, he made brief stops in the MJHL and the WHL, before spending four years with the Acadia Axemen. . . . With the Wolverines, Caplan replaces Barry Butler, who had been the GM/head coach for all but two seasons since 1999-2000, when the franchise joined the MJHL. Kirk MacDonald has been named director of hockey operations and head coach of the ECHL’s Reading Royals, who have a working agreement with the NHL’s Philadelphia Flyers. MacDonald signed a three-year contract. MacDonald took over as interim head coach on April 3, replacing Larry Courville, who was fired with a week left in the regular season. He had revealed in February that he wouldn’t be returning for another season. MacDonald, who is from Victoria, had been an assistant coach since July 2014. Public service announcement: If you're "that guy" who thinks it's necessary to yell out random things during national anthems - please STOP!